Lemon Mint from Al Waha shisha tobacco recreates the classic mixture of a sweet, citrus lemon and natural, cooling mint. A relatively simple hookah tobacco flavor as compared to some of Al Waha's other mixes, but delicious all the same! Try mixing this with your favorite blueberry to create a refreshing blueberry lemonade combination! 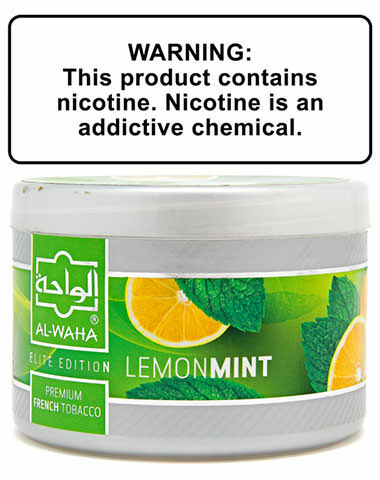 Lemon Mint Al Waha Shisha Tobacco has a average rating of 0 stars out of 5 stars based on 0 reviews.